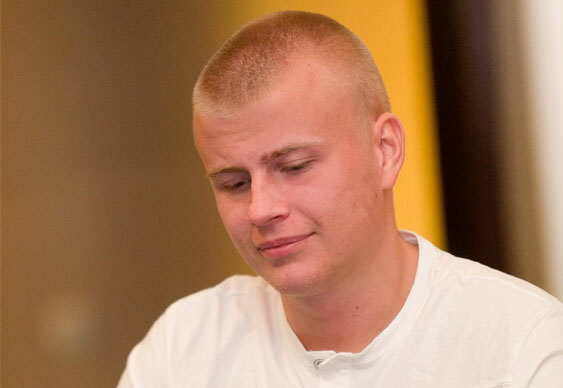 Online poker training site RunItOnce has added another online phenom to its roster with the arrival of Finnish superstar Jens Kyllönen. Kyllönen, known online as 'Jeans89', has an enviable record both online and live, backing up high-stakes online cash game success with stand-out scores on the live tournament circuit and being named Finland's best poker player in 2012. Over the last few years he has become renowned for his battles with the likes of fellow Finn Ilari Sahamies in high-stakes PLO cash games, frequently winning six-figure pots and taking his place as one of the biggest online poker winners of all time with more than $4m in earnings. Kyllönen clearly has plenty of faith in his own ability - he took 100% of his own action in the inaugural $1m buy-in Big One for One Drop in 2012, a tournament where even some of the biggest names sold pieces of themselves. But he doesn't limit himself to high-roller tournaments with only a handful of players: the highlight of Kyllönen tournament career came in 2009, when he saw off a 462-strong field to take down EPT Copenhagen for more than $1.1m. The Helsinki native joins an impressive roster of pros at RunItOnce, including British Poker Awards nominees Stephen Chidwick, Sam Grafton and Craig McCorkell. The site launched in December 2012, with nosebleed-stakes pro Phil Galfond as its CEO. RunItOnce has been nominated itself for the Best Poker Training Site award, and voting is open now at www.TheBritishPokerAwards.com. RunItOnce offers training videos across specialisms including No Limit Hold'em, Pot Limit Omaha, tournament play and more. The addition of Kyllönen sees the training site grow its pro roster to 60 of the best poker players from all over the world. Watch Jens Kyllönen's first ever RunItOnce training video here.